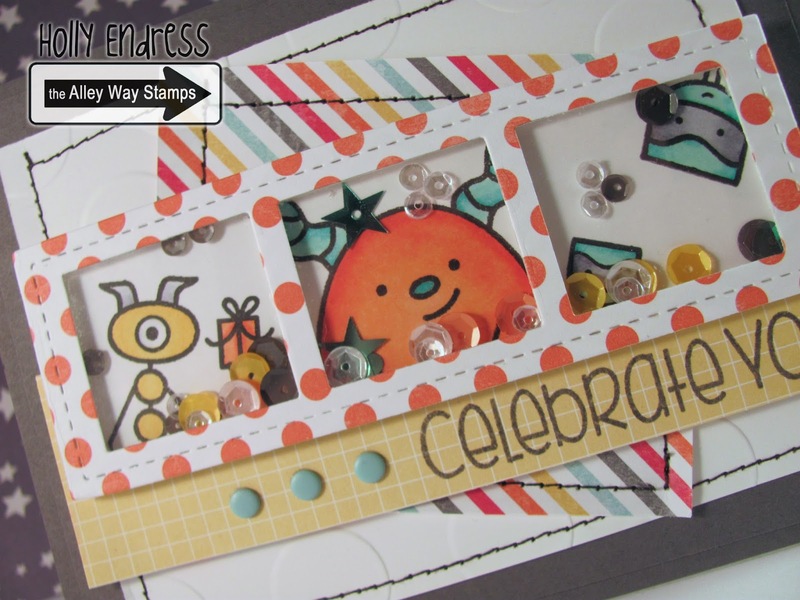 Hollybeary Creations : Shaker Fun with the Alley Way Stamps! Shaker Fun with the Alley Way Stamps! Happy Saturday.. Our Birthday Celebration at the Alley Way Stamps is almost over and we hope you've had fun celebrating with us. This week I have a fun shaker card for you! This is created with the fun Stitched Film Strip die from Pretty Pink Posh. I'm using the uber cute Oogles set and Cake Day from the Alley Way stamps. I started with a white panel and embossed it with the Polka Dot embossing folder from Stampin' Up! and then I did some sewing around the edges and the piece of DSP paper I added. I adhered the main panel to a Basic Grey base. I added a strip of DSP and stamped the sentiment from Cake Day in Basic Grey and added some Pool Party Candy Dots. I colored the Monsters with Copics and added Sequins from Pretty Pink Posh that matched my papers. Be sure to head over to the Alley Way stamp blog and see what the other Design Team members created today! 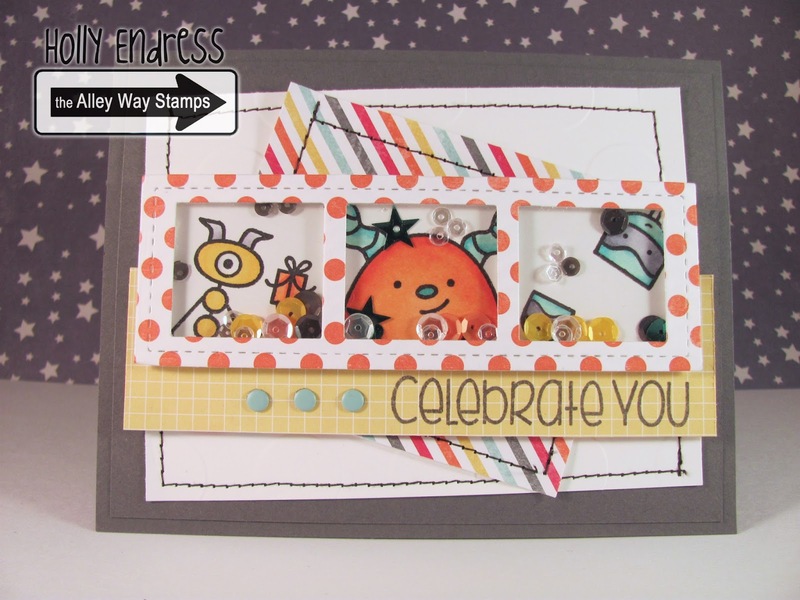 Don't forget to Link up with your Alley Stamps creation for a chance to win. Adorable! The white frames make the colored creatures POP. Oh my gosh this came out great, I love it!